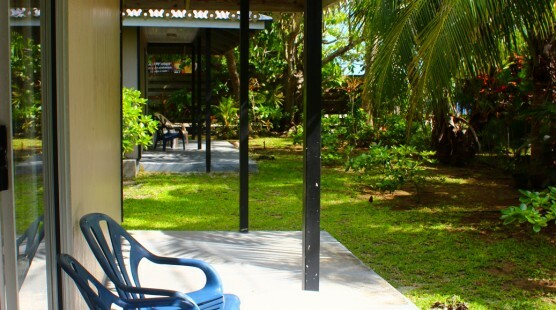 You will have access to a small terrace with chairs and coffee table at the heart of a tropical fruit garden. Private parking is right next to the bedrooms for those who wish to rent vehicles. The bay window of the entrance is equipped with a lock that offers a total security. 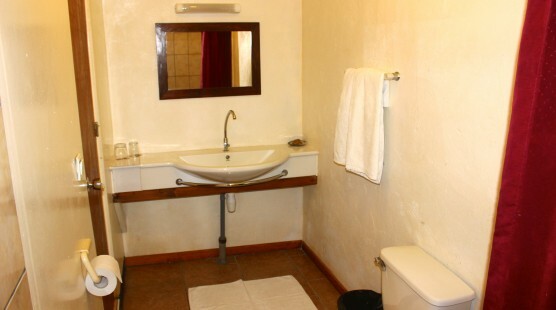 Every room has its own bathroom with solar powered hot water (shower, sink and toilet). There is also a fan, and an armoire to store your personal belongings. Linens are provided (towels, sheets, soap). On our property you will find beautiful tropical fruit trees, including coconut, banana, mango and papaya. 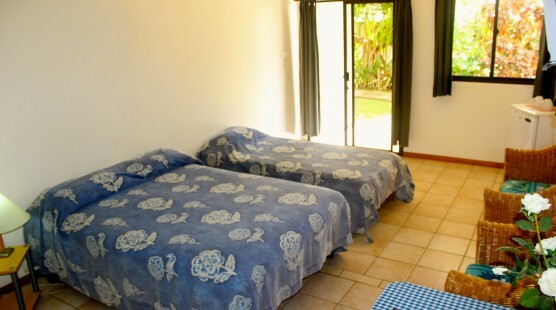 The Bungalows are all located at approximately 100 meters from the beach. 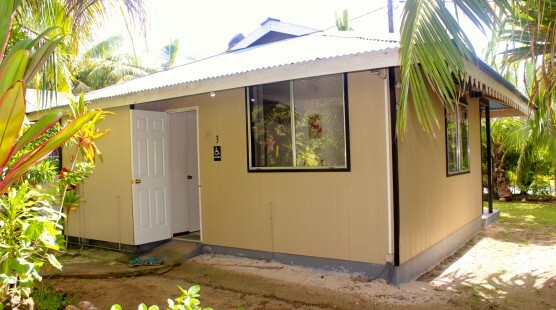 For the comfort and ease of all of our clients, three of the Bungalows are wheelchair accessible. All of our facilities include a color television, a mini-fridge, coffee/tea making equipment, and kitchenette facilities. The Garden Studio Bungalows are approximately 30 square meters, consisting of a bedroom and sitting room area, some are partially divided by a wooden partition. Families with two children can easily be accommodated as the sofa can be made into a double bed.